Join us in our vegetable and herb garden located on Marlesta Drive by the P100 building. No experience necessary! See the calendar or contact info@terramesa.org for more information. Please note: Students may not park in the staff parking lots by P-100 or P-300. 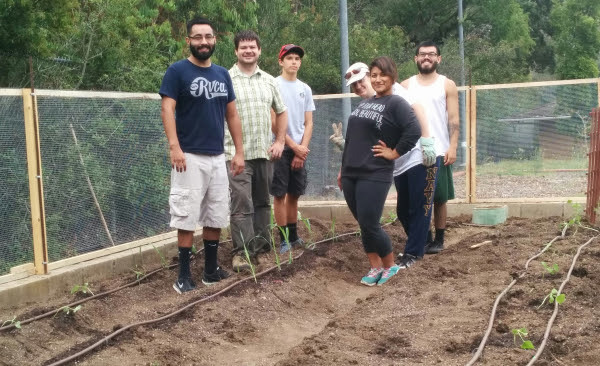 Check out the documents below about gardening at Mesa College. You can fill out the volunteer and liability forms with the garden volunteer coordinator. See the calendar to find out when the next gardening session will be. 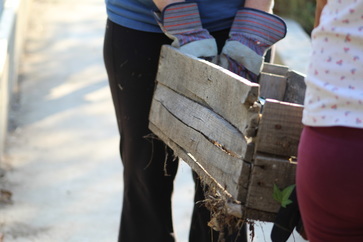 Our team strives to nourish a garden that will bring our community together on a path to a more sustainable environment. We have planted over 40 crops since the beginning of summer! Summer garden volunteers who completed the first planting! Many thanks to our garden donors!